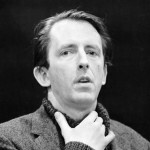 The American actor Fritz Weaver (b. Pittsburgh, Pennsylvania, 19 January 1926) was almost thirty years old by the time he made his Broadway debut as Maitland in the original run of the Enid Bagnold comedy, The Chalk Garden (1955). The performance earned him both a Tony® nomination and a Theatre World Award. Since then he has appeared, most often in leading roles, in some twenty-one Broadway productions, three of them musicals. Weaver’s first Broadway musical was the 1962 Mel Brooks / Charles Strouse / Lee Adams musical comedy All American (available on the Sony label), which starred Ray Bolger as Professor Fodorski and featured Weaver – dancing as well as singing – as Henderson, the callous CEO of “Exploiters Unlimited.” In 1964, Weaver returned to Broadway as Mark Twain and six different United States Presidents in The White House, “a play with music” that survived for only 23 performances. His most successful musical appearance on Broadway was as a singing Sherlock Holmes in the Marian Grudeff / Raymond Jessell musical, Baker Street, for 311 performances in 1965. Fritz Weaver won a Tony Award® in 1970 for his portrayal of Jerome Malley in Robert Marasco’s drama, Child’s Play. Nine years later he received a nomination for a Drama Desk Award for his role as Walter Franz in Arthur Miller’s Broadway play, The Price. His last appearance on the Broadway stage came in 1999 in the revival of Jean Anouilh’s Ring Round the Moon: A Charade with Music. Among the 84 television series on which Weaver has appeared are Omnibus, Playhouse 90, The DuPont Show of the Month, The Twilight Zone, The United States Steel Hour, The Man from U.N.C.L.E., Rawhide, The Fugitive, Gunsmoke, Gentle Ben, Ironside, The F.B.I., Mission Impossible, The Mod Squad, Mannix, Cannon, Hawaii Five-O, Falcon Crest, The Love Boat, Murder, She Wrote, Matlock, All My Children, L.A. Law, Star Trek: Deep Space Nine, The X-Files, Frasier, and Law & Order. In addition he has been in 27 movies made for television and a dozen for the big screen (A Walk in the Spring Rain, The Day of the Dolphin, Marathon Man, Black Sunday, Demon Seed, The Big Fix, Nightkill, Jaws of Satan, Creepshow, Power, The Thomas Crown Affair, and the Rowan-and-Martin comedy The Maltese Bippy). Currently Weaver can be heard as one of the principal narrators on the History Channel.